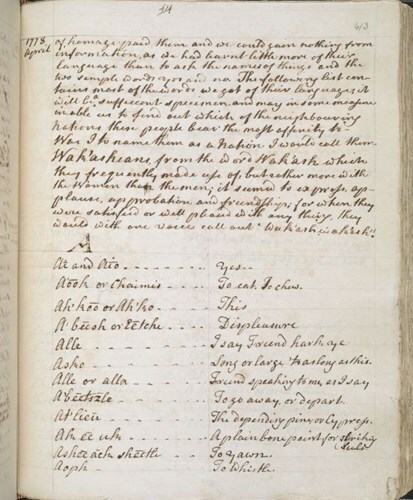 Wordlists were recorded on Cook’s three Pacific voyages, and these are invaluable sources for historians and First Nations peoples today. They show people coming together, trying to make themselves understood, and trying to understand each other. Over two days, experts from Australia and the Pacific will reveal how European travellers recorded the languages of the Pacific, and how the revitalisation of Indigenous languages is supporting cultural practice and healing. Language Keepers: Preserving the Indigenous Languages of the Pacific will demonstrate the important work being undertaken by many organisations and communities in this sphere, and celebrate the many examples of revitalisation of Indigenous languages of Australia and the Pacific. The conference will be opened with a keynote address by award-winning writer Professor Kim Scott, focusing on his involvement with the Wirlomin Noongar Language and Stories Project. The full program will be released in early January 2019. While morning and afternoon tea are provided as part of your conference ticket, participants will need to make their own arrangements for lunch each day. As the National Library’s Bookplate restaurant is usually very busy on weekends, Bookplate is offering a pre-order healthy takeaway lunch menu for conference participants only, which can be collected from Paperplate Café (Level LG1) on the day – just present your online order receipt. To take advantage of this pre-order option, please order online at https://lunchpacks.eventbrite.com.au by 5pm, Thursday 7 February. LOVE OUR EVENTS? LOVE THE LIBRARY? BECOME A FRIEND. Join online now or call 02 6262 1698.